Oban is a quite remarkable little town. 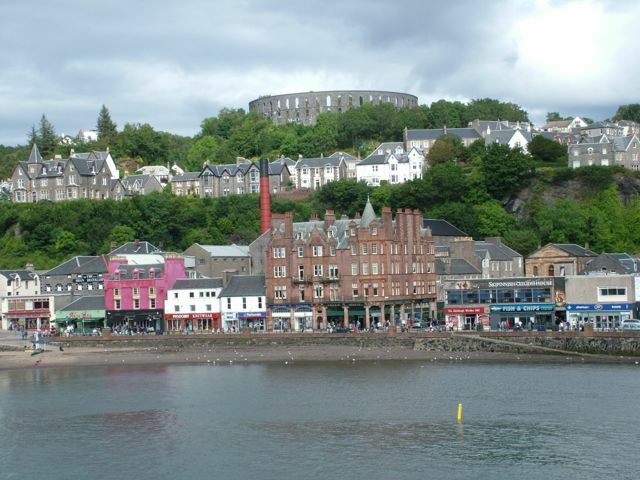 Nestling beneath the strange folly of McCaig’s Tower, (picture a Roman arena or a mini Colosseum plonked on top of a small hill and you’ll get the idea), the town’s setting is picture-perfect, occupying a wonderful, sheltered bay. In winter, the town’s population shrinks to a mere 8,500; in summer, when the tourists pack out the guest houses and hotels, don’t be surprised to find 25,000. Some are just passing through: Oban is the gateway to many of the Inner and Outer Hebrides. The busy Caledonian Macbrayne ferry terminal seems to run from five in the morning till late at night, and when one of their mighty vessels docks and the cars start rolling off, the narrow streets can be jammed with traffic. 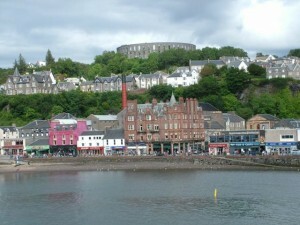 But many visitors come just to Oban. Its heyday was probably the late Victorian era, when elegant paddle steamers plied its waters and holidaymakers from Glasgow strolled its fine esplanade. Paddle steamers might now be roll-on roll-off ferries and the elegance of the buildings somewhat faded, but Oban can be a truly vibrant town. Famed for its music, it’s very much a centre of Gaelic culture and the traditional home of the Mod, a celebration of Gaelic culture and music. The local high school has a pipe band which plays on summer’s nights, while the Corran Halls host the best known Scottish musicians. But the tiny population still leaves the book loving traveller quite staggered to find this remarkable branch of Waterstones. It’s tucked away on George Street, almost looking out to sea, and in the splendid Victorian style of stone building to be found in so many Scottish towns. Inside, though, it’s drab and ugly, the worst possible combination of big chain decor, mismatched colouring and false ceilings, with an urgent need of an update. But don’t be put off by it being part of a chain nor by the fact that in its internal aesthetics it’s only a marginal improvement on Waterstones’ Oxford branch. For this deceptive, little shop offers much both for the casual visitor and for the true Scot. In a tiny Highland town (ok, by Highland standards it’s not tiny, but anywhere else in the UK and this would pass for a large village) there’s a selection of books which should leave some towns lowering their heads in shame, such is the paltry nature of their offerings. Crammed into this busy (at least in the summer) shop, are to be found the usual fiction and non-fiction and a large children’s section, with much to appeal to those who want only to buy a bestseller. But there’s more. For the books on offer are distinctively Scottish. Want to know about the history of the Highlands, political or economic or social and cultural? It’s almost certain you’ll find your book here. Heading off into the mountains? The walking guides are excellent. Sailing to the islands? You’ll find plenty of reference works on their multitudinous wildlife. 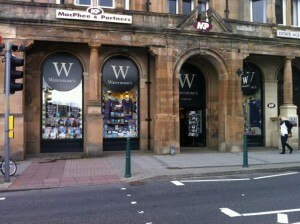 Indeed, whatever your interest in matters Scottish, you’ll find it in Waterstones of Oban. Perhaps it’s Scottish military history, cooking (which extends far beyond haggis and porridge! ), customs, transport or life – again, you won’t leave disappointed. And in other sections there’s often a distinctively Scottish flavour: Scottish poetry gets a good look in, and the fiction range includes a fair number of Scottish classics and more modern novels. For those from South of the Border, discovering the breadth and vibrancy of modern Scottish writing can be something of a revelation. 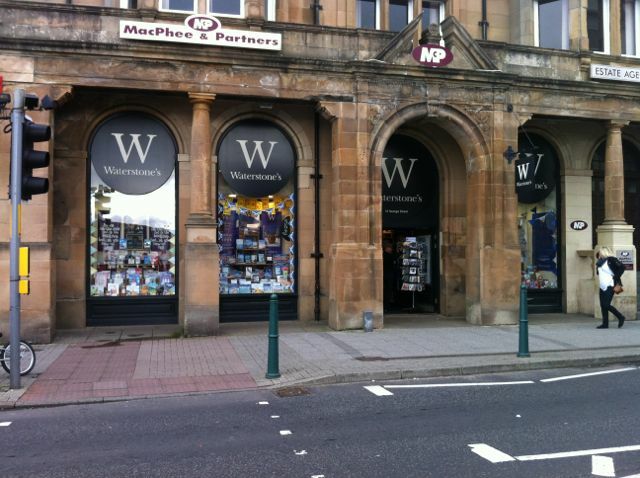 In fact, this is a shop on a mission to spread the news of good books – they even a delivery van which heads off to remote Highland and island communities, reaching places which would otherwise rarely have access to bookshops. Arrive in Oban by train – it’s quite a stunner of a rail journey from Glasgow. Head to Waterstones and stock up on some books which will feed both your soul and your intellect – I’d recommend The Wild Places by Robert Macfarlane, which relates the author’s quest to find the wildest parts of Britain. On a still summer’s evening, when the rains have finally cleared, there are few places more magical to walk as the sun sets than beside the water at Oban. Buy a fish supper, and eat it down by the harbour, watching the last of the ferries return to port. Then rise early. Take the 7.00am ferry to Coll and Tiree – you’ll have up to four hours in which to savour the scenery as you gently cruise through the Sound of Mull. Have that book to hand, for as the stresses of life elsewhere drift away, you’ll find yourself both in awe at the majestic mountains and reaching into yet another world, that of the printed page. 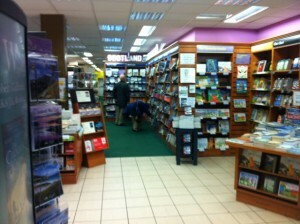 Peace, tranquility, the magnificence of the Highlands, the imagination and a decent bookshop. It’s almost heaven.